There seems to be such a shortage of inventory right now. Listings that do come on the market are selling quickly with multiple offers and at increasing prices. Listings are the “name of the game” in real estate so how can you take advantage of this shortage and list the houses that others will buy? Watch the video below by real estate coach, Tom Ferry for a great idea on how to get listings when there’s no inventory! For high performance results… get an oil change! After-all, you are a high performance machine so you must keep your motor running smoothly! Eliminate the ineffective oil, change the filters, replenish with new oil, top off the other fluids, then lubricate, add spark and you are off to the races! The next key step in your oil change is to change your filters! Your experience of your real estate career is filtered through your mindset! Notice when you watch the news and read the paper replete with negative accounts of the housing industry and real estate sales, your market suddenly seems impregnated with nothing but foreclosures, short sales and REO’s! Aren’t there any homeowners with equity who want to take advantage of the buy-side of today’s real estate market? Where are the buyers and investors who qualify for a mortgage loan or who have cash? Is there any inventory out there to sell? Have you ever noticed that when something does not go as planned… nothing seems to go well? And on top of that, all you see on television are commercials about depression and negative stories about unemployment and crime! Stop! Take a deep breath and look around! There are homes selling EVERY DAY! Not every house for sale is a distressed property! There are real estate agents in your market who always seem to have clients – cooperative sellers and willing buyers! Maybe you should check under their hood! (wink wink!) When you change the filter of how you choose to experience your real estate career, what you see will change as well! 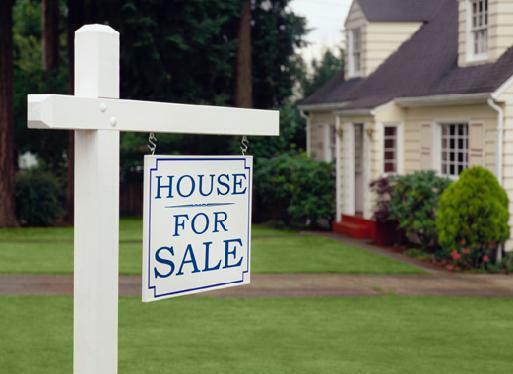 A seller will list their house at a competitive price! A qualified buyer will make an acceptable offer! You get properties under contract and schedule closings! People move! You collect commissions for the value you bring to your clients! You even notice lighter, happier stories on the news and in the paper! It is time to change your filter! You are almost geared to hit the track! Next you must add new high performance oil, top off all the fluids and lubricated all the parts! Discover and repeat inspiring affirmations! Role play with supportive partners! Prospect in a neighborhood with a fast market velocity relative to the rest of the area! Contact your sphere of influence and your past clients to discover who they know who needs your services! Continue sharpening your effective skills that are achieving results! Instill business systems to automate your business and give you time to enjoy your life! Blueprint your intentions so as to not be deterred by an objection or two! Relish in your gratitude of your chosen sales business and your complete control over your success! You took the time to obtain your real estate license; you anticipated a lucrative career helping people buy and sell property; you could not wait to get started; you obtained some business sales coaching and training to achieve some success! You procured your high performance vehicle for contributing to others, making a wealth of money, delighting in the flexibility of time that a real estate career affords! All the parts are still there! The warranty does not expire! You must simply keep your machine fueled, lubricated and add a little spark! 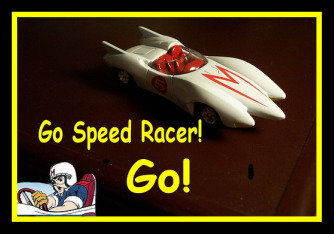 Get your motor running… rev your engine… go for that checkered flag! Saint Patrick’s Day, which started as a religious holiday, has grown into a secular celebration of the Irish culture in general and is observed on March 17th! The celebration includes prominent displays of the color green, shamrocks, leprechauns and pots of gold! 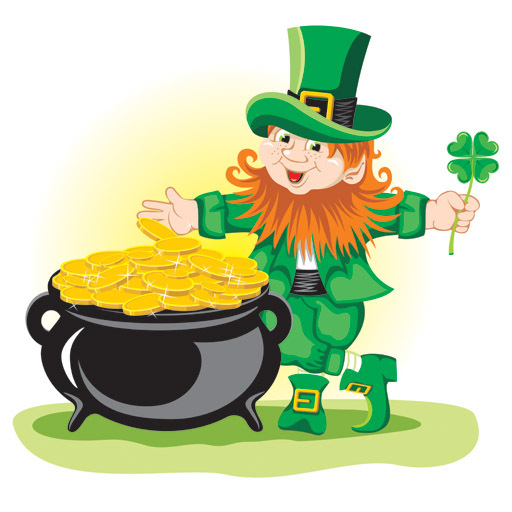 The “luck of the Irish” is epitomized by the leprechaun who bring luck, smiles, a bit of mystical magic and untold riches! Let’s all be a bit Irish this St. Patrick’s Day and reap the benefits of all of this luck to last us all year long! We all have a bit of magic within us if we simply believe it’s true! Haven’t you ever experienced a time when EVERYTHING went right? All the pieces fell into place? Felt like you were in the right place at the right time? Everything you touched turned out right? Did you chalk it up to lucky forces outside of yourself or did you choose to take credit for your smooth wonderful day? Some will say that we are to “create our own luck” and this concept of luck has nothing to do with success. If you have a choice between being good or lucky, choose lucky because people will think you’re good! Sometimes you can do everything right and still not achieve success in real estate. Fate and luck play a big role in business and hard work and preparation also have their integral roles in financial success! Are you doing the things you need to do to take advantage of the fortunes that come your way? Do you know your craft? Financially successful people in the real estate business attribute their success to two things: luck & timing! The good news is that there is more than one way to put yourself in a position to meet others who need your services and get those magical two elements to coincide! However, keen preparation and the ability to effectively communicate what you know and how it can help others is the key element that turns that timing INTO luck for you to achieve success in this real estate sales business that you have chosen to pursue. So, when you experience something good and wonderful and easy, stop and recognize that situation; relish in those feelings and ask for more of the same! Whether you believe in serendipity or that you create your own luck, perhaps your fortune lies somewhere in between… never look a gift horse(shoe) in the mouth! In preparation, do what you need to do to turn that timing and luck into opportunity, a commission check and a referral! 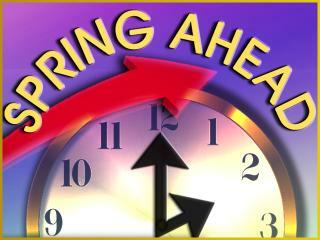 “Spring Forward & Fall Back!” Daylight Saving Time begins at 2am on Sunday, March 10, 2013. The time changes at 2am because that is believed to be the least disruptive time for the majority of people. Hawaii and most of Arizona do not observe Daylight Saving Time. The proper phrase includes “Saving” NOT savingS. When we move our clocks ahead one hour, we will lose an hour that will not be regained until we “fall back” to standard time on November 3, 2013. The ONE thing that everyone has in common is time… we all have 24 hours each day. So why is it that some agents seem to be more productive in those 24 hours and some agents seem to “lose an hour” EVERY day… not just this weekend when we change our clocks. There are many lessons we can learn from Daylight Saving Time that we can apply to our real estate sales business to be more productive. There are some days that you absolutely do not have enough time to complete all the tasks needed for your ongoing transactions and others when finally feel like you have a bit of time to yourself. You ask yourself, how do these more productive agents seem to get it done? Then you find yourself on the famed “real estate roller coaster.” This occurs when you have no closings and spend all of your time prospecting for new business, the you get all of these listing and buyers, then you service all this new business and get many under contract; they all close and all of a sudden, you are out of business again! Get in the habit of following the same routine every workday and you will instantly be more productive. Especially if you can get a handle on your morning, when you should generate new business, you will definitely experience having more time throughout your business.Your morning routine begins with the night before! Do a little something for yourself (engage in a hobby, spend time with family/friends, knit, write in a journal.) When you first get in to bed, think about what you accomplished today and the things that went right, think about what you want to achieve tomorrow; then get a good night’s sleep! When you wake up in the morning, eat a good breakfast and get to work at the same time every day. Do NOT check your emails or phone messages before you begin your lead generation. You need to be positive and focused when talking to new people who need your real estate services rather than worrying about the fire you have to put out this afternoon or the stress you’re dreading facing when dealing with a difficult co-op agent. After you spend anywhere from 1 – 3 hours generating new business, THEN you begin dealing with your ongoing business transactions. Start every day at “zero” and remember that your job is to generate new business every day… PERIOD! As a real estate sales professional, there are many things that must be accomplished per client, per transaction, per day; the trick is to prioritize these tasks, the challenge is how to prioritize when it ALL has to be done! As previously mentioned, the most important thing you do every day is generate new business! There would be nothing else to do if you did not have any new customers, would there? To prove this fact to yourself, take your average commission and divide it by the number of hours you average prospecting for new business. This calculation will yield amazing results and you will soon discover that you are one of the highest paid professionals when you look at how much you make per hour! All of the other tasks required to go from lead to closing are of course necessary but could probably be done by someone else (if you would be willing to pay them!) Your highest priorities remain: 1) having conversations with new people to get them as clients = prospecting; 2) presenting your services to those new people = listing & buying presentations; 3) getting the deal done = negotiating offers to get to contract. Everything else can wait or be delegated! I guarantee you that when you continually have more clients who want you as their agent, it’s a lot easier to fire or refer the ones that cause you the most stress and take up the most amount of your valuable time! The more organized and systematic you can make your business, the more your day will flow with effortless ease! If you use checklists and routines and schedules and calendars for every part of your business, you will enjoy much more free time throughout your day! Every time you prospect expireds, use the same scripts and objection handlers, use specific tried and true email letters to respond to the internet inquiries on your website, check your voicemail at the same times every day, have a checklist for every listing & showing appointment you attend, etc. Spend some time organizing HOW you do your business, stick to those processes and you will find more hours in the day. Even the most experienced professional pilots follow a pre-flight checklist every single time they get in to an airplane. There is no “some day,” and living from “some day” will kill your inspiration and your dreams. 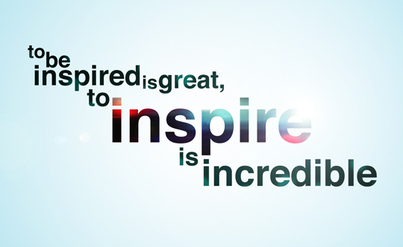 That’s why I would like to share seven critical strategies designed to get you inspired and in action today! Are you ready to have a life filled with anticipation, excitement, joy and outstanding results? Good, then let’s get started. Get Inspired Strategy #1: Write a one-year prophecy letter. It’s time to get out of the past, stop trying to fix yourself, stop fretting over what you are going to do to have more success and happiness. Stop looking at what didn’t work and start prophesying about your future. You become what you think about. Let’s get your mind focused on what you want and off what isn’t working. Write a letter as though you had achieved everything you wanted to achieve, dated one year from today. Get Inspired Strategy #2: Count your blessings each day. This is essential for explosive growth. The universe is happy to provide for you, as long as you are happy about what you already have. If you are dissatisfied with your current situation, that energy muddles up your intentions. The more dissatisfied you are, the more you receive that which dissatisfies you. Make a list of 10 things you love about your life. Get Inspired Strategy #3: The 10-10 Visualization Exercise. Starting with your list of the 10 things you are grateful about today, create a second list of 10 things you want to experience or achieve. Take deep breaths and go into a state of relaxation. Now that you are in a very powerful, conscious state, mentally review your list of everything you are grateful for. Dwell on each item. Get really connected with how great it is to have this in your life. Let the emotions of gratitude well up inside of you and overflow. It’s okay to cry tears of joy. In fact, that’s the objective. Then do the same with your list of goals and dreams. Get Inspired Strategy #4: Write your intentions every day. What do you want in your life? Get clear, ask, write your intentions. Get Inspired Strategy #5: Get clarity about what you want. Know what you are seeking. The moment you get clear, the perfect people, situations and opportunities appear. Get Inspired Strategy #6: If you feel stuck. Make a list of 3-5 aspects of your life that are working. Spend time thinking about those aspects of your life. What you focus on expands and that will inspire you. Get Inspired Strategy #7: When you don’t know what to do to get the energy moving in your life, play The Perfect Game. Whatever is offered, take it. Whatever is suggested, do it. Whatever happens, declare it perfect. Allow the universe to guide you to the perfect situations that will inspiring you to take new action and accomplish more. *Reprinted from www.MatthewFerry.com … originally posted 1/25/13 http://matthewferry.com/blog/page/3/.